height 30cm ( 11 1/2"). 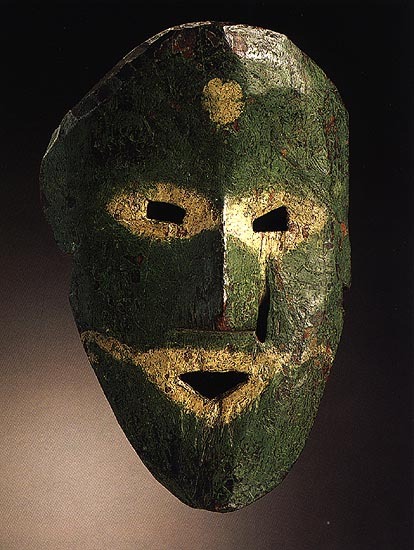 Strongly reminiscent of eskimo masks, the iconography may relate to masks from tribes of middle India. Private collection.